Glued to my laptop, I, like millions of Indians, felt proud watching Saina Nehwal play the World Championship finals and while I watched in awe how agile and nimble footed she is, my thought went out for the million, if not more, women across the globe who feel inadequate about themselves, their size and most importantly “their body weight”. These women that I talk about are the ones who are driven by the mindless social convention of the need to lose weight to be seen as ‘beautiful’ (read ‘thin and fair’) instead of being driven by a more logical urge or responsibility towards their body i.e. to make it fitter, leaner & stronger. Now, try telling any fit and athletic Saina Nehwal, Jwala Gutta, Saina Mirza or Mary Kom that she is carrying more weight on the weighing scale for her height and that she should lose weight at ‘any cost’; and she must look thin, petite, or skinny and these athletes will laugh it off. 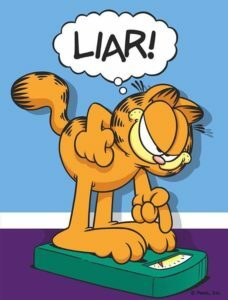 Because they know that the two-digit number on the scale does not really matter! This brings us to the rhetoric question – “Then why do we need to know how much we weigh?” We need to know how much people weigh so that we can monetize it into either a weight loss business or into a medical industry. It makes perfect business sense and see where it has got us today. Businesses related to weight loss have become one of the biggest and fastest growing businesses across the world. Flooding the markets are hundreds of pills that promise to control our blood sugar, cholesterol and what not. Astonishingly, there are now surgical treatments also to make people lose weight! And I fear there are dafter ways which the industry will come up with just to make us slim and our wallets slimmer. Honestly, we are cultivated/ subconsciously trained by “them” to feel stupid about our bodies. The more ignorant we stay about our health parameters, the more it is likely to go on, and with much more vigor. “What’s my ideal weight for my height?” if we keep asking these questions and as long as we stand in front of the mirror, pinch our bulge and say “Everything else is ok, bus yeh naa, yeh nahi jaa raha“, we will continue to be at the receiving end of “these” big pharma companies making a fortune out of our sentiments and ignorance. But the weight is still important, isn’t it? You may still persist. Let me give you an example – “If you keep a pile of books on a scale, what you get is the total weight of all the books combined as a number and not the individual contribution of each. Similarly, the weighing scale reads our body weight as a total number and does not give us the contribution of either fat or lean muscle mass towards the total weight”. To further stress my point – Two people with the same height and weight can look drastically different due to the difference in body fat%. The person with high fat% will look flabby and weak while one with low fat % will look lean and toned. Hence, the weight is not a true and reliable indicator of our health or fitness. Just like the school report cards reflect numbers and not learning, the weighing machine reflects number and not well being. So, now what should we do with our weighing scale? So, next time when you look at yourself in the mirror – smile and say “You are beautiful, you just need to get a little fitter”. Moreover, our happiness or sadness should not be dependent on a number. There’s so much more to life. Let’s move on and put an end to this weight loss hungama! Trying to lose weight without going on an extreme diet? Let dietitian Munmun Ganeriwal who specialises in Indian food help you with a holistic weight loss program. Contact us now to know more or set up a consultation!